Check out today’s update to learn about the new (is “new” the singular of “news?” No? Well, I’m still using it) from Hasbro’s Press Event at Toy Fair. 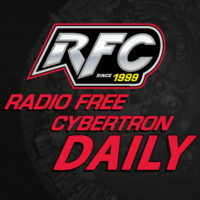 RFC Daily Update 061 – A Ghostbusters Transformer, this is not a drill! The news keeps coming and hopefully will last through the weekend. 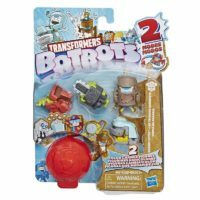 New Transformers toys, a new Hasbro official online store, a new Transformers cartoon, and a new Transformers game! What a Friday. On today’s update, a bit of a rerun for our normal podcast listeners but minty fresh material for our Alexa listeners! On today’s update: Winter Wonderfest 2019 is going on and we have our first glimpse at Masterpiece Bumblebee 2.0, 35th Anniversary Star Convoy, 35th Anniversary Armada Optimus Prime, and Masterpiece Blackarachnia! Woah. RFC Daily Update 058 – New Siege toys unveiled! Omega Supreme, Jetfire, Impactor, and Mirage are coming! And like that, just a little less to expect from Toy Fair. 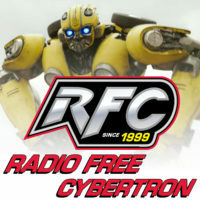 On today’s RFC Daily update we have news of an upcoming Golden Lagoon edition of Soundwave, as well as two new reissue cassette sets! Opinions are mixed on the recently unveiled MPM-8 Megatron and MPM-9 Jazz. On today’s update: NEW BOTBOTS!